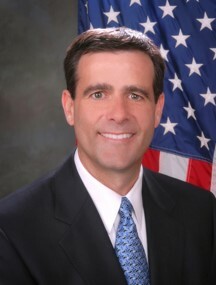 John Ratcliffe has signed on as co-sponsor. Congressman Lamar’s text goes out of the way to deny the obvious: this bill provides for a national ID database. Specifically, the bill assigns responsibility to the Department of Homeland Security (DHS) and mandates cooperation between the Social Security Administration (SSA) and the DHS. While there may never actually be a material National ID Card, the national database will become, in fact, a national ID card system. The objective of denying employment to any and all aliens unlawfully residing among us is noble, the only possible outcome is a national ID system, a duty best left to the states which have not surrendered this function to federal government, as per Amendment X of the U.S. Constitution. If we assume all federal employees to be honest, moral and incorruptible, then there would be reason to expect no federal abuses of our very private, very personal information. But, as you well know, federal employees are 100% human and corruption among them is commonplace. Therefore, I urge you to oppose H.R. 1772 and furthermore that you discourage other lawmakers from voting in favor of this bill. Previous Post King v. Burwell Now Before the Supreme Court – Which Justices Will Fulfill the Oath of Office?